An exhibition of work from the aTE Archive is touring, the first run of shows in London and Cambridge Uk are being curated by the collective ART LANGUAGE LOCATION and started in the Westminster Arts Library, London. 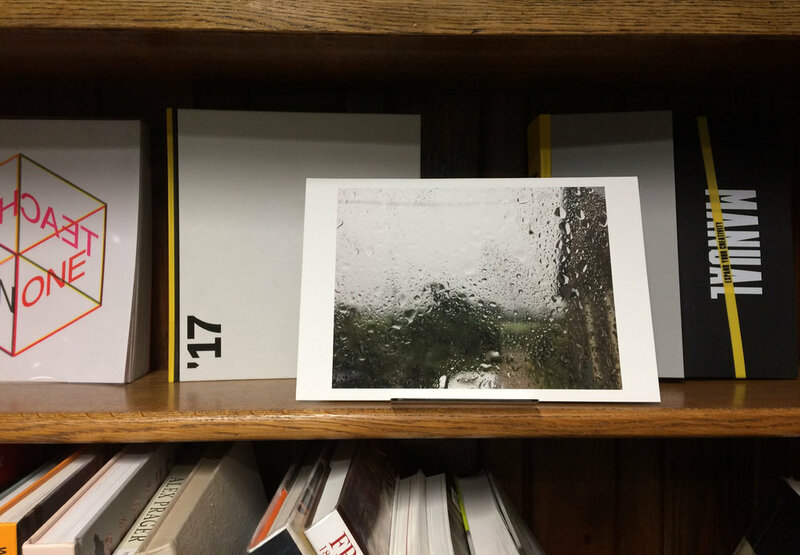 Joanna M Wright’s window view from her home on Anglesey, North Wales in the Westminster Arts Library. November 2018.